Had Cisco Houston lived to see the American folk music revival in full bloom, he'd likely be ranked with Burl Ives, Woody Guthrie, and Pete Seeger as one of the movement's iconic figures. A naturally gifted baritone with features resembling actor Clark Gable, he was poised for a high-profile career. Decca Records thought Houston had potential as a pop vocalist, recording him with Victor Young's lush Hollywood orchestra. In June 1960 he hosted an hour-long folk music showcase on CBS-TV; reviewers singled out his performance for praise. Weeks later doctors diagnosed his lingering stomach ailment as terminal cancer. "The trouble with my whole life has been that my timing is always bad," he lamented to Lee Hays. Gilbert Vandine Houston was born August 18, 1918 in Wilmington, Delaware. His family moved to suburban Los Angeles while he was young. His eyesight was always poor; nystagmus prevented him from seeing anything directly in front of him. When the Great Depression struck, his father couldn't find employment as a sheet metal worker. Houston dropped out of school to help support his family. By 1935 he and his brother travelled up and down the West Coast, looking for ranch work or odd jobs. He took the nickname 'Cisco' from a California town he was passing through. Accompanying himself on the guitar, Houston picked up extra cash by playing in roadhouses and small radio stations. By 1938 he returned to Los Angeles to explore an acting career. He connected with Will Geer, who led a small troupe that performed agitprop plays in California migrant labor camps. Both men eagerly tuned into Woody Guthrie and Lefty Lou Crissman on KFVD; on a whim they drove to the station to meet Guthrie. All three men would become lifelong friends. When Geer moved to New York to join the cast of 'Tobacco Road,' Houston eventually followed him there, landing a job as a barker for a 42nd Street burlesque theater. When Guthrie found his way to Geer's New York apartment, Houston reconnected with him. Shortly afterwards, Houston shipped out with the Merchant Marine. On his sporadic return visits, he sang with Guthrie and the Almanac Singers. In 1943 he convinced Guthrie to ship out with him; their vessel barely made it to port after a torpedo strike. During one spring 1944 stay in New York, Houston made the bulk of his duet recordings with Guthrie in Moe Asch's studio. Houston and Guthrie made two more trips across the Atlantic and survived another torpedo attack. When Guthrie entered the U.S. Army, Houston remained in New York looking for acting roles. In 1947 he and Geer landed small roles in a Broadway revival of 'The Cradle Will Rock.' When it closed, Houston returned to Los Angeles. Houston's career during the '50s was a patchwork of peaks and valleys. He briefly travelled with Guthrie for a final time, made pop recordings for Decca as 'Gil Huston,' and folk albums for Folkways. 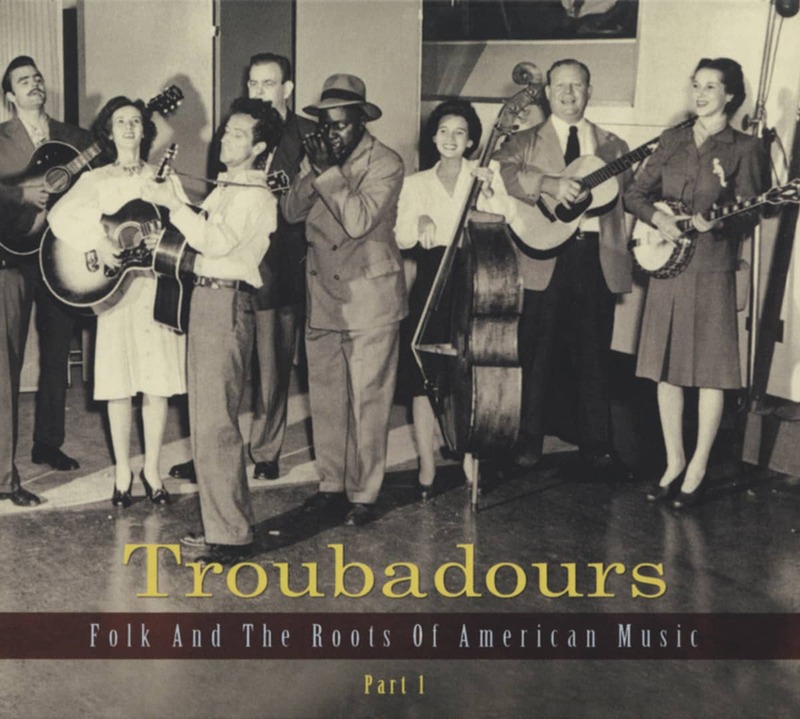 900 Miles and Great American Bum came from his third Folkways LP, '900 Miles And Other Railroad Songs,' issued in 1953. Many young aspiring folksingers embraced his minor key version of the title track. Harry 'Haywire Mac' McClintock claimed authorship of Great American Bum; he popularized The Big Rock Candy Mountain and Hallelujah I'm A Bum on Victor Records in 1928. 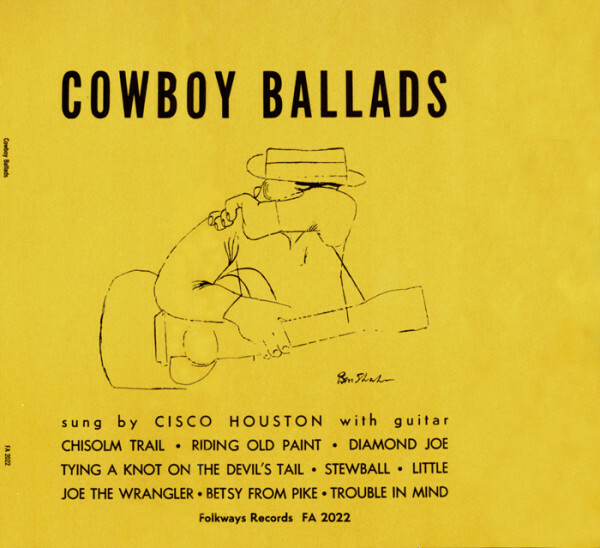 Diamond Joe became a folk revival standard after appearing on Houston's first Folkways album, 'Cowboy Ballads.' Often cited as a traditional song, Butch Hawes penned it for a BBC radio production. When America's principal folk music magazine 'Sing Out!' printed Diamond Joe without giving Hawes credit, he proudly told his wife Bess Lomax Hawes that the highest honor a songwriter could achieve was to have his work accepted into oral tradition. Based in Denver, Colorado in 1954, Houston hosted a thrice-weekly folk music show that was picked up nationally by the Mutual Broadcasting System. When that series ended, Houston returned to California. In 1958 he signed with Maynard and Seymour Solomon's Vanguard Records, a classical music label that was building its roster of folk artists. In early 1960 the United States Information Service booked Houston on a twelve-week tour of India, joined by Marilyn Childs, Sonny Terry and Brownie McGhee. Despite his cancer diagnosis, Houston kept working, including an appearance at the 1960 Newport Folk Festival. Lee Hays interviewed him extensively for a proposed autobiography, but the project was uncompleted when Houston died April 28, 1962. Customer evaluation for "Cowboy Ballads"